Recycling Works: Is Wood Recyclable? The term “recycling” usually conjures up thoughts of aluminum, plastic, glass, and paper. A recyclable commodity that may get overlooked is wood. Wood recycling, consisting both of raw wood and used wood products, as well as paper, and has become more of a focus in the past decade. We don’t normally think of recycling a natural, renewable resource, but considering the staggering statistics, it is more than necessary. So many useful products can be made from previously used paper and wood. 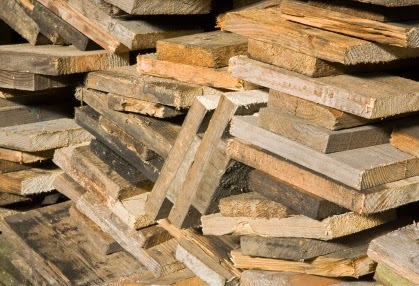 Paper, building materials, pallets, furniture, mulch and wood chips all can all be made from recycled wood. This not only saves money, but keeps more trees from being cut down to make these wood products. The benefits of wood recycling definitely far outweigh the drawbacks. Only 27% of the newspapers produced in America are recycled. Keeping in mind that the things we recycle....or don't recycle today impacts our future in so many ways should remind us to recycle anything we can to give to the next generation. For more information on recycling, or to get a quote on commercial wood recycling, visit us at www.wasteawaygroup.com.